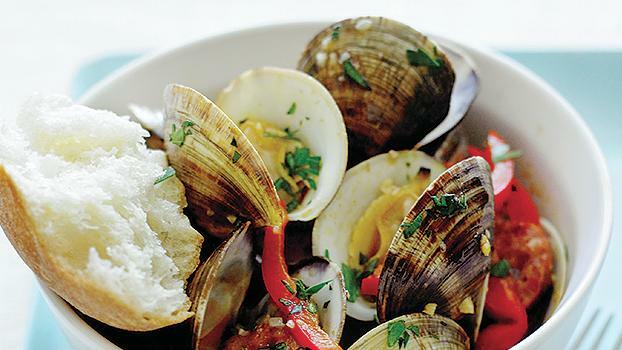 Smoky meats like chorizo pair perfectly with briny clams, but what we really love about this recipe is how speedy it is. Traditionally, paella is made with rice, but we think it works just as well here with pasta and a vibrant mix of seafood, including clams, halibut, and shrimp. 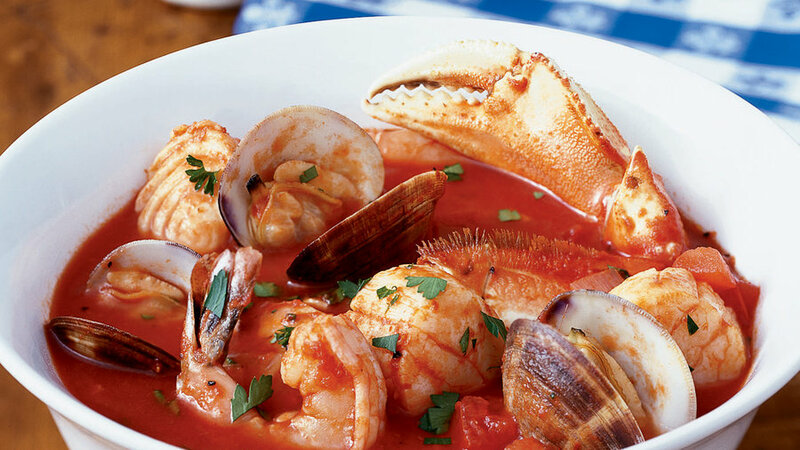 Look no further for your go-to cioppino recipe. 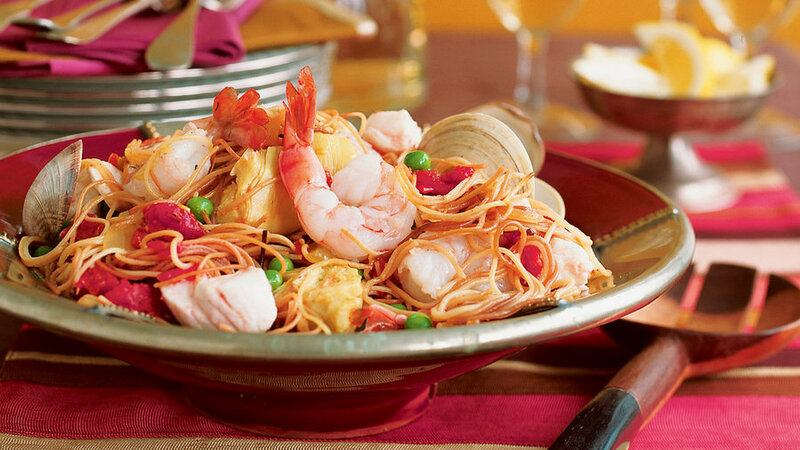 This version is rich with tomato and loaded with clams, shrimp, crab, scallops, and halibut, making for a finger-lickin' good dinner. 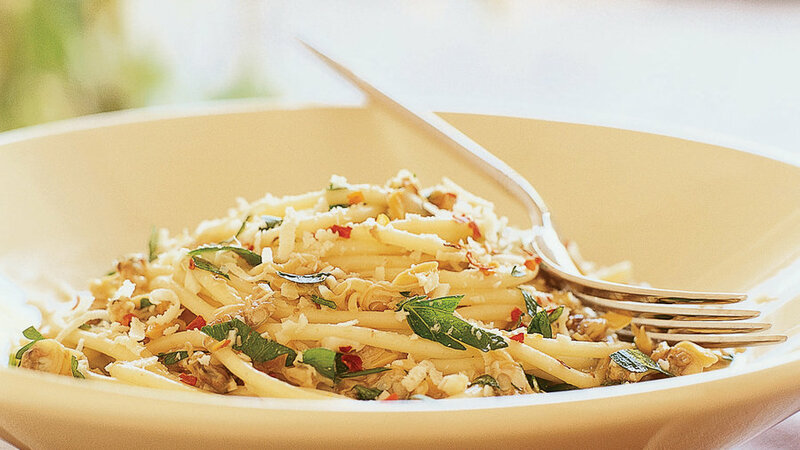 Sweet peppers, lemon, and mustard seeds add lots of flavor to this easy pasta dish. Take your pick from one of three seasoned broths ― they're all delicious. 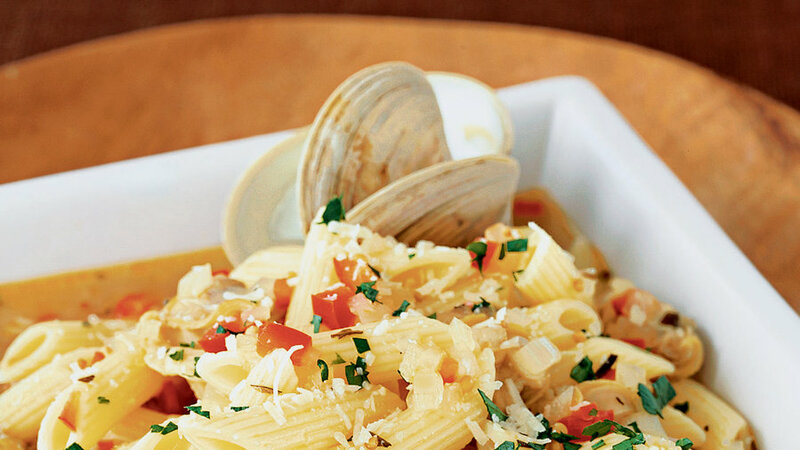 This simple, classic recipe highlights clam's briny sweetness. 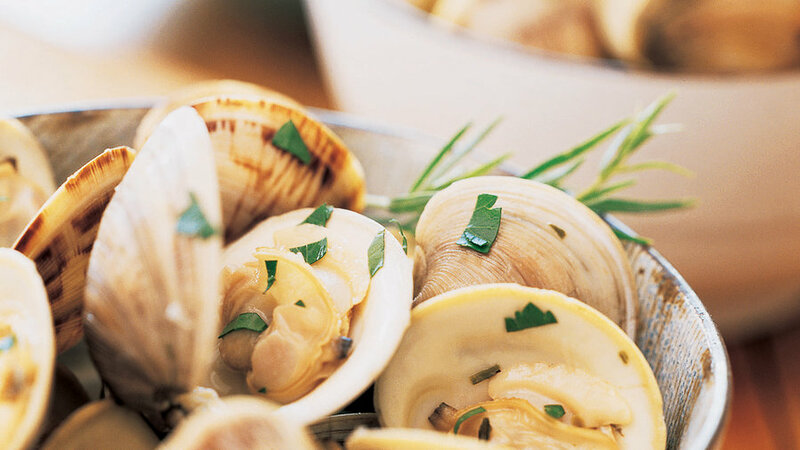 This dish is perfect on a cold night served with hot sourdough bread and a simple green salad. 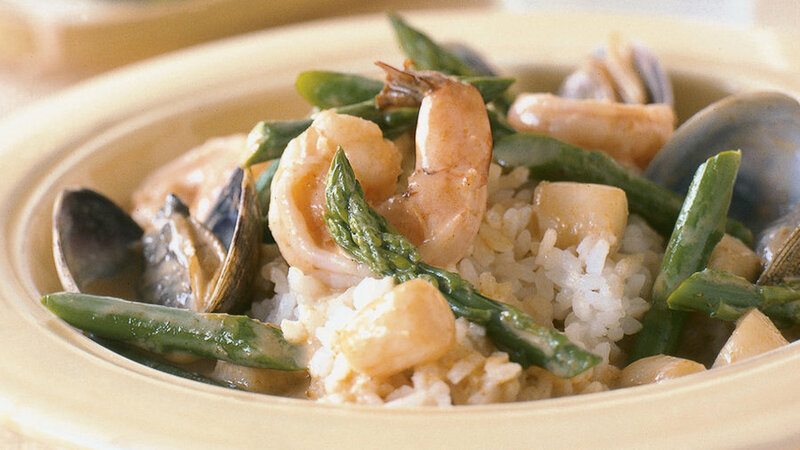 This spicy, creamy, seafood-studded Thai curry is best when served over lots of sticky rice.